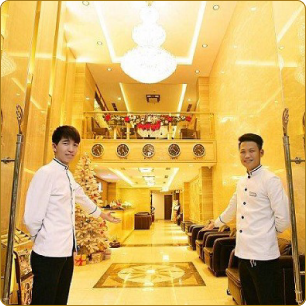 Step in to Skylark Hotel and experience the fine art of luxury and flawless service unmatched in Hanoi. Skylark Hotel is located on Phan Dinh Phung street which is considered one of the most beautiful streets in Hanoi and attracts many tourists visit. Here, you not only admire the unique of ancient architecture, but also immersed in a lush green space, filled with trees. Walking along the street, watching falling yellow leaves, hear the church bells make your heart has many feelings. In addition to the 50 elegantly appointed rooms and suites, our Skylark restaurant and stylist X Bar are privilege places for any meeting at any moment of the day. The Skylark Health Club featuring with the unique roof-top indoor pool and the most up-to-date equipped gymnasium in Hanoi will give you the best possible conditions for complete well-being. In the heart of Hanoi, Skylark hotel offers you chic facilities and a phenomenal location for your meeting or event. Surrounded by Hanoi's most significant sights, our central position couldn't be more impressive. Are you searching for a quick escape from the stresses of a busy city life? Our indoor heated relaxing pool on the top floor is designed to help you find inner balance. It creates an exclusive environment for you to relax, reflect, rejuvenate and re-energize. Leave your troubles behind and take time out for yourself. Skylark Spa offering is for people who love life: where “life enthusiasts” can relax and make the most of their trip. The treatments have been designed to facilitate the fundamental need for charging while travelling, where you will find a warm, comfortable atmosphere that is both upscale and approachable. Whether sharing your spa experience with friends and loved ones, or taking a time-out, the Skylark treatments help you to find your glow and to have fun while you are at it…….